Hindalco is India’s premier foil and foil laminates supplier in different variants – plain, laminated, lacquered and printed which are used for various packaging applications. Hindalco has modern and well-equipped facility at Mouda near Nagpur in Maharashtra. These state-of-the-art foil rolling facilities incorporate the latest technology and offer a wide range of quality foils upto a thickness of 6 micron.The Mouda facility has a casting facility where cold aluminium is molten, cast and rolled to make foil. The three German mills at Mouda are fitted with “Automatic Shape & Gauge controls” for delivering high quality output and are capable of meeting requirements of sophisticated end applications. The mills operate at high speeds and have capability to offer foil in widths upto 1,620 mm. Support facilities ensure an environment friendly manufacturing process. A well-equipped laboratory along with stringent process controls, together ensure the right quality at every stage of manufacturing. Consumer Products Division (CPD) is a part of the Foil and Packaging business of Hindalco Industries Ltd. By offering a healthy and hygienic alternative to traditional food-packaging methods, it has transformed Freshwrapp into a power brand in the aluminum foil category. In a short span of 13 years, CPD has created a number of products that cater to the needs of a market ranging from individual families to hotels, restaurants and catering businesses. Serving more than 1.2 million customers per month, brands like Freshwrapp, Freshpakk and Superwrap now have a place in almost every kitchen. © Copyright 2009 - 2010. 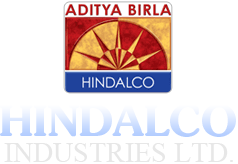 Hindalco Industries Ltd.